We have uploaded three MP3s for your delectation and delight. All of these are songwriting demos only, rather than full performances, and no liability is assumed for any harm caused by their consumption. Your statutory rights are unaffected. Right-click the titles to download. 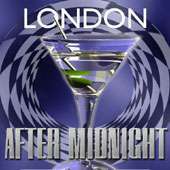 London After Midnight is a song that isn't actually about London. Features Tilt on gob-trumpet. May or may not be rearranged as a ska track in the studio. New Planet Valentine (MIDI demo) is the first song Tilt and Olsen wrote together. Tilt was handed Olsen's MIDI demo, to which he added lyrics, demo vocals and "enough reverb to make Joe Meek hurl". There is a bridge for this song, but it was written after the demo was completed and may not make it to the final recording. 68 Seconds Of Pep is a sampler of songs written for the forthcoming album, not all of which will make it to the album, with snippets of What Madame Fate Has In Store, Wishing Well, Illinois, The Love Song, After The Love Song and Fate Vs The Impossible! page design by Sociotechnical Cybernetic Research Associates of Manchester. Images by Mapcase of Anaheim. Some rights reserved. Home taping is killing music.